This project is an effort to use machine learning techniques to predict ocean temperature increases at a specific location on the Great Barrier Reef in order to predict future coral bleaching events. For this project we used the Australian Institute of Marine Science (AIMS) Data Service and examined historic data for air temperature, air pressure and sea temperature at the Davies Reef Automatic Weather Station on the Great Barrier Reef. We used average (mean) daily readings for each of these from 1991 to 2015. According to AIMS, 1 day at 29.6 degrees celcius causes bleaching. These data were used as an input to the BigML machine learning software where we used an ensemble of regression trees to train a model with historic data in order to predict future trends in sea temperature. We tested this trained model to predict against the 'ground truth' (what actually happened) taking an 80/20 split of the data in order to first train and then use the remaining data for testing. We trained and tested numerous ensemble models, looking at bagging and random methods, as well as inputting new features. The best performing model put a weighting on the bleaching temperature threshold for Davies Reef of 29.6 degrees celcius. The model predicted 99.7 of each temperature reading within a degree, with 27 per cent predicted within one tenth of a degree. Other machine learning techniques were evaluated, including Random Forests and Support Vector Machines, but did not perform well enough to make it through to the final stage of the project. 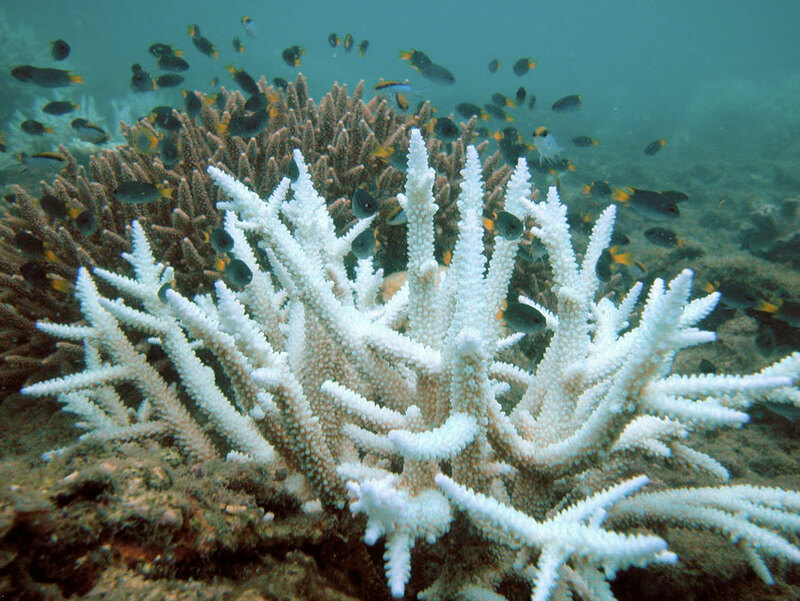 Future work would include trying to determine how often and by how much the coral bleaching threshold temperature would be exceeded in future years, and hence the likelihood of more coral bleaching events on the Davies Reef.